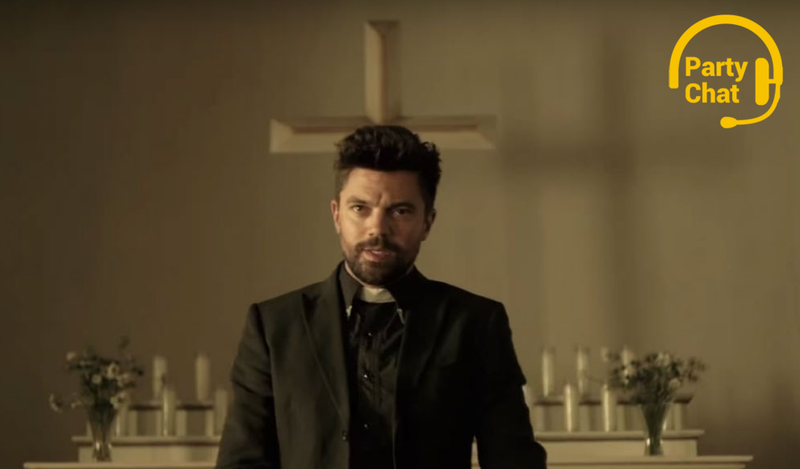 AMC’s Preacher: An uneven first season, but hopefully things will improve. What it is: AMC’s ambitious adaptation of Garth Ennis and Steve Dillon’s comic book series Preacher. What I’ve watched: Finished the first season last night. Is it good? Hmm. Mixed, I’d say. Some cool stuff, some very frustrating stuff. Quick thoughts: I’ve read some of the comics but don’t remember them that well, so I didn’t mind changes from the source material. Loved the first few episodes, loved the back half a lot less. The finale in particular was a mess—some great moments, but I was frustrated by how willing the showrunners were to essentially undo the entire season I’d just watched. I loved the recurring Breaking Bad reference, and agree with the rest of the world that Ruth Negga is amazing. I’m definitely in for season 2, though I’m still a little grumpy that all the consequential events of the first season could’ve probably fit into an episode or two. Party Chat is where we talk about things we’re reading and watching when we’re not playing video games.